The students here are helped to become independent as they participate in a variety of activities. The learning is (an) activity based (one), and arouses the curiosity in the children and makes them confident. They learn to co-ordinate and co-operate with their peers along with building a strong academic base. “Giving wings to innovation, imagination and creativity..."
The school also organizes various co-scholastic activities like the book fairs, book talks, exhibitions in science and othervarious subjects, sports day, annual social gathering. The school also organizes various co-scholastic activities like the book fairs, book talks, exhibitions in science and othervarious subjects, sports day, annual social gathering. All the students are motivated to perform and also enjoy the activities. The (inner and) hidden talents of our students get well demonstrated and exhibited in various programs that are conducted throughout the year by the school. The School encourages the children to do COMMUNITY SERVICE for the under privileged.To inculcate the moral values, attitudes and skills in the children they are introduced to SCHOOL CINEMA, which is a unique audio-visual method of learning.To help teachers and parents come together and learn, Facilitators ‘Orientation Programmes and Parents‘ Orientation Programmes are conducted by the school. 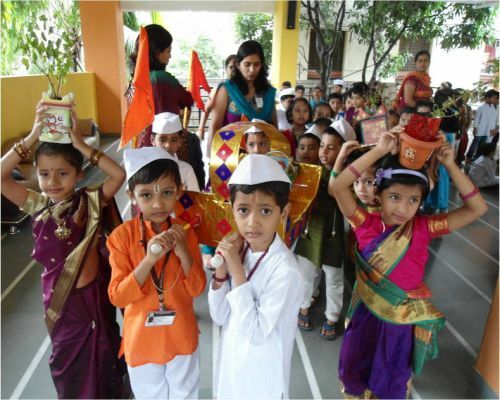 The students not only excel in academics but also in Sports, Literary and Cultural Activities.Adequate emphasis is given to non-scholastic activities as envisaged in our National Educational Policy so that the children are offered ample opportunities to pursue their aptitude, develop their creative talents and thus, evolve as a wholesome personality. 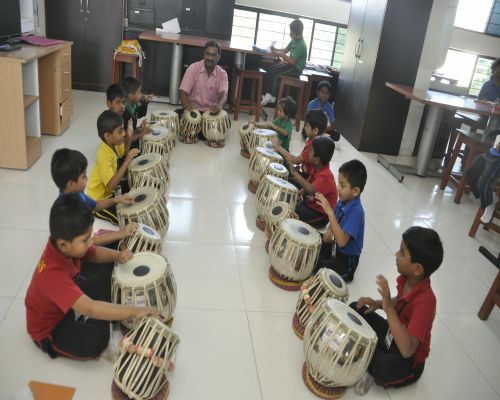 Besides academics, co-curricular and extracurricular activities form an integral part of the school curriculum with provision of adequate facilities to pursue such activities. We have professional facilitators for training our children for various Co-Curricular Activities (CCA). Our students not only excel in studies but also in Sports, Literary and Cultural Activities.Adequate emphasis is given to non-scholastic activities as envisaged in our National Educational Policy so that the children are offered ample opportunities to pursue their aptitude, develop their creative talents and thus,evolve a wholesome personality. 1 Continuous – spread over the entire span of academic session. 2 Comprehensive – to cover the scholastic and the co-scholastic aspects of student’s growth & development. 3 Evaluation – to assess the learner better in various areas of learning like knowledge, application, analysis and creativity. There will be minimum 8 cycles of CCE in one academic year. The teacher will evaluate the students simultaneously while teaching or separately. Most of the time the students are not aware that they are being tested. * 20 marks internal marking from 1st Quarterly, 2nd Quarterly, subject enrichment and notebook submission.